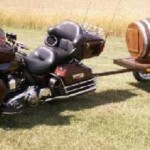 A collection of Wood Barrel Motorcycle Trailers. 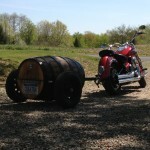 Pull behind motorcycle trailer are an easy way to haul what you want, when you want. 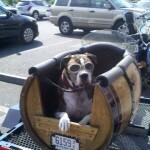 Whiskey barrels, wine barrels, and any other type of wooden barrels make for a unique look in the motorcycle trailer space. 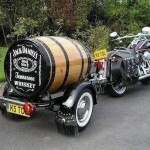 A little bit of the “old school” look can be incorporated when transforming these works of art into something that you can be proud to pull behind your motorcycle. 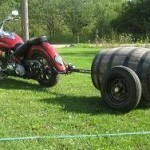 Weight is also a concern when considering a wooden type of motorcycle trailer. 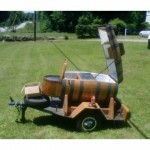 The first one that I built weighed just over 300lbs, empty. And whatever I wanted to put inside added to it. 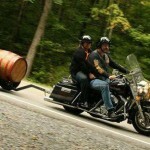 It did prove to me and a lot of the other bikers that saw it just how capable my bike is. It doesn’t concern me anymore after yanking that thing around (which I still have and pull every once and a while). 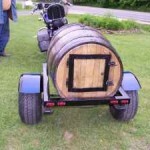 If this look interests you, be sure to check out my plans on how to build your own Wood Barrel Motorcycle Trailer.